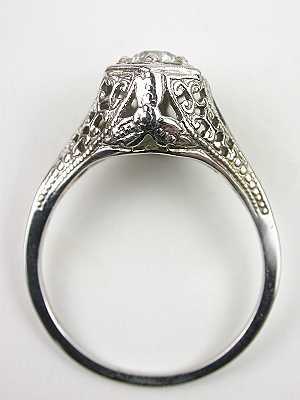 Curlicues and beads wrap the bezel and shoulders of romantic antique engagement rings like this one. 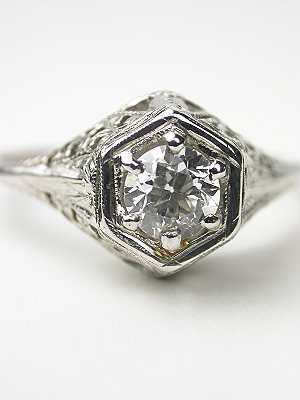 The lovely pierced mounting of this antique engagement ring rises to a hexagonal top setting. Trimmed in mille grain, the setting cradles a GIA-certified round brilliant transitional cut diamond. 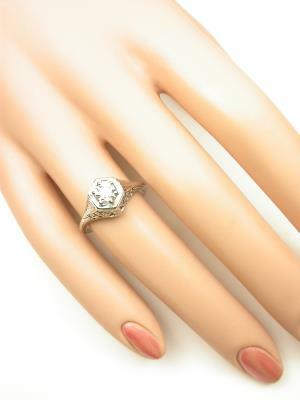 This diamond solitaire weighs 0.42 carats and is G in color and VVS2 in clarity. 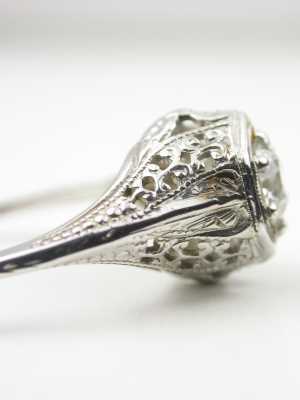 The 18k white gold construction of the band lends sophistication. Circa 1920. 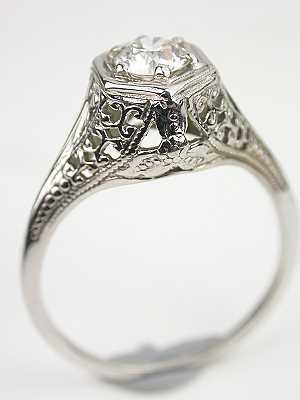 Special characteristics This antique diamond engagement ring features a pierced scroll design mounting. 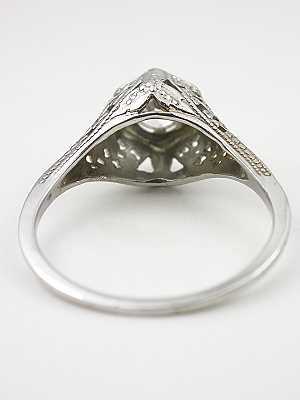 It is set with a transitional cut diamond. Transitional cut stones were predecessors to the diamond we know and love today as the round brilliant cut.